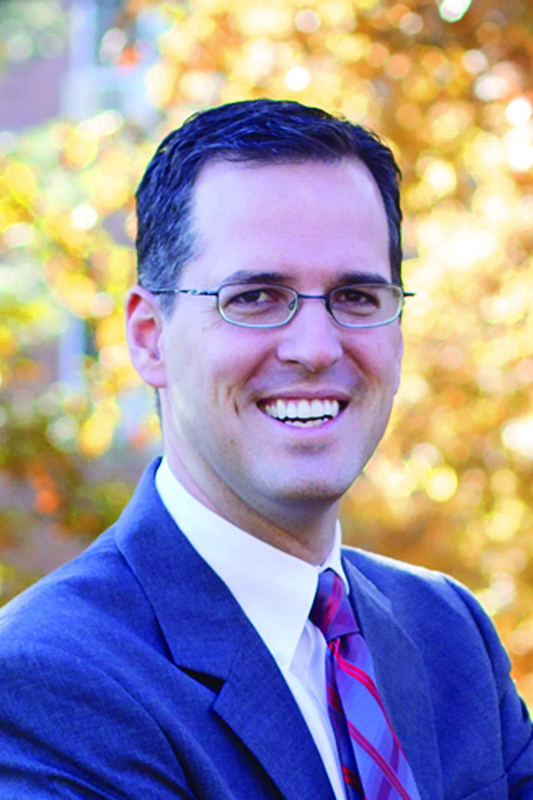 At the annual meeting of the board of trustees, held on the campus of Otterbein University, The Ohio Foundation of Independent Colleges (OFIC) accepted three contributions to fund scholarships for students attending OFIC member institutions and continued support of the organization’s Bridges program. Greg Steenrod, Vice President, Business Development at GEM Energy presented a gift commitment to OFIC in the amount of $70,000 to be paid over 20 years. 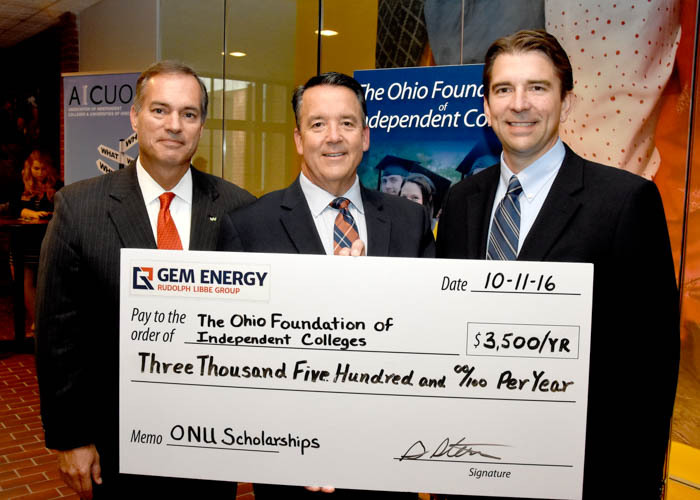 The scholarship program through OFIC will benefit students in Ohio Northern University’s Advanced Energy Engineering program. L to R: Todd Clossin, President & CEO WesBanco, OFIC Board Chair, Bill Spiker, OFIC President, Greg Steenrod, Vice President, Business Development, GEM Energy LLC. Sarah Briggs, Vice President, External Affairs from AT&T Ohio and Christopher Wyche, Director, External Affairs, from AT&T Ohio presented a check in the amount of $50,000 in support of The OFIC Bridges Program. 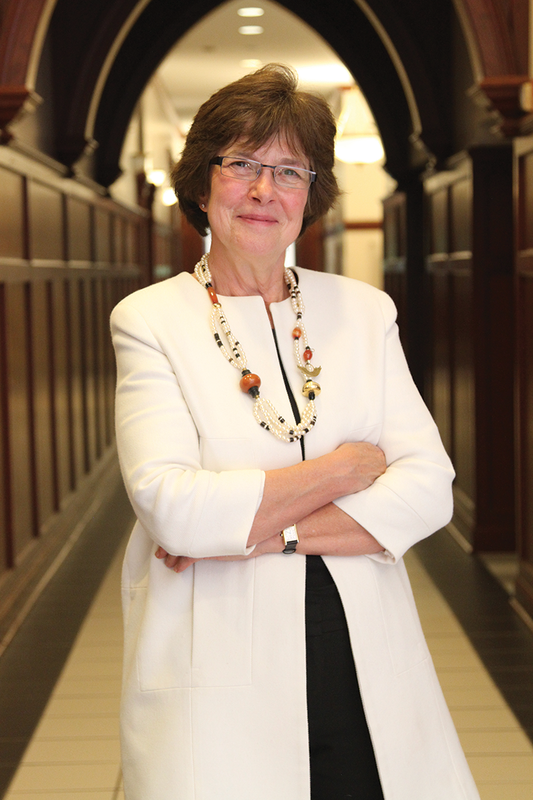 The program creates a pathway for urban and economically disadvantaged students to gain access to higher education by providing information for both students and their families regarding the importance of a college education, the financial and educational preparation required, and the higher education processes involved. L to R: Todd Clossin, President & CEO WesBanco, OFIC Board Chair, Bill Spiker, OFIC President, Christopher Wyche, Director, External Affairs, AT&T Ohio, Sarah Briggs, Vice President, External Affairs, AT&T Ohio. Finally, Renee Roberts, HR Manager, Great Lakes District, United Parcel Service along with OFIC/UPS Scholar Anthony Sumpter from Ohio Dominican University, presented a $88,400 check which represents the scholarships made possible by a grant from the UPS Educational Endowment Fund administered by the Council if Independent Colleges (CIC) in Washington, DC. Nationally, CIC and The UPS Foundation teamed up to provide nearly $1.5 million in student scholarships this year. L to R: Todd Clossin, President & CEO WesBanco, OFIC Board Chair, Bill Spiker, OFIC President, Renee Roberts, HR Manager, Great Lakes District, United Parcel Service. Following the board meeting, attendees were offered a tour of the newly opened and first-of-its-kind facility, The Point at Otterbein University. 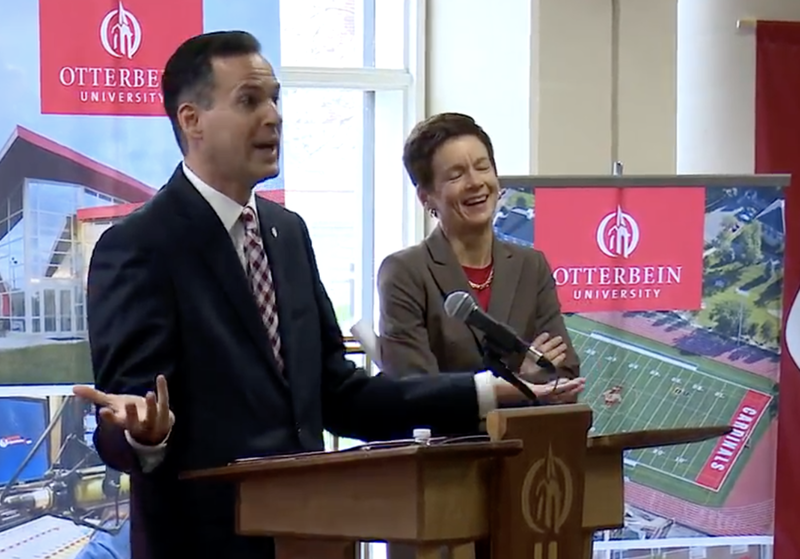 Otterbein has partnered with leading organizations from the private and public sectors in central Ohio to create The Point at Otterbein University, a new science, technology, engineering, arts and math (STEAM) Innovation Center that combines academics with the business and manufacturing needs of our community. Located at 60 Collegeview Road, The Point and it's STEAM Innovation Center is home to two resident companies and Otterbein academic departments, with lab space available to businesses and the broader community.